Avoid At-Risk Ingredients | Whole Food. Real Food. Good Food. If it is not labeled organic or verified non-GMO, the product needs to be avoided if it is made from ingredients that might be derived from GMOs. The eight GM food crops are Corn, Soybeans, Canola, Cottonseed, Sugar Beets, Hawaiian Papaya (most papaya falls into this category) and a small amount of Zucchini, Yellow Sqaush and a certain variety of pineapples. And now, most recently, wheat is at-risk. Japan recently cancelled their U.S. wheat order based on GMO fear. If a non-organic product made in North America lists “sugar” as an ingredient (and not pure cane sugar), then it is almost certainly a combination of sugar from both sugar cane and GM sugar beets. Products may be from cows injected with GM bovine growth hormone. Look for labels stating No rBGH, rBST, or artificial hormones. American dairy milk is genetically-modified unless it’s labeled “NO rBGH”. Genetically-engineered bovine growth hormone (rBGH) in milk increases cancer risks. A lot of protein powders contain rBGH, so please read your labels. Our favorite protein powder is Garden of Life Garden of Life Raw Organic Protein – This is a very high quality, plant based protein that is gluten free, vegan, dairy free and Non-GMO project certified. It is made with a blend of raw sprouted bio-available protein from brown rice, amaranth, quinoa, millet, buckwheat, garbanzo beans, lentils, adzuki, flax, sunflower seed, pumpkin seed, chia seed, and sesame seed sprouts. This is a great one to choose because of the varieties of plant food used. We use this powder all the time in our Banana Almond smoothie. The following ingredients may be made from GMOs if the product is not organic or declared non-GMO. Print this page and take it with you help clean out your pantry. Besides being GMO, most of these ingredients cause other problems and should be avoided for these reasons as well. Please reference my Label Library for more information on many of these ingredients. Eating organic is the best way to avoid GMOs because the certification makes it illegal to use GMO seeds or chemical pesticides. 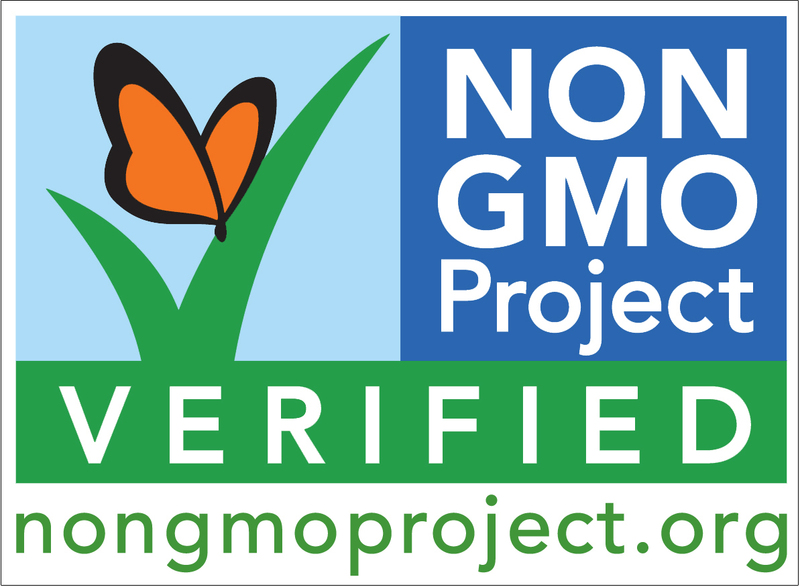 It is important to note that non-GMO is not the same as organic. Non-GMO means there are no GMOs. What it doesn’t mean is that it is free from all of the toxic pesticides, insecticides, and fungicides that are sprayed on conventionally-grown crops. Organic does not allow GMOs nor does organic allow all of the toxic pesticides, insecticides, and fungicides that are sprayed on conventionally-grown crops. 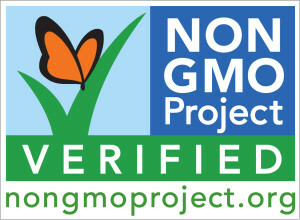 This label will assure you, the food you are eating is not genetically modified. To ensure your produce are non-GMO, purchase organic. I read that too and have been keeping up with the findings. I recommend liking http://www.facebook.com/gardenoflife for updates. Pingback: Real Caramel Dip | Whole Food. Real Food. Good Food. Why is vitamin B12 listed? Does this apply to all B12?